The blockchain industry and the infrastructure of the Internet of Value are being built rapidly around the globe, and to many the atmosphere is eerily similar to the building of the Internet in the late ’90s, with pioneers and dreamers coming together to build a new future. 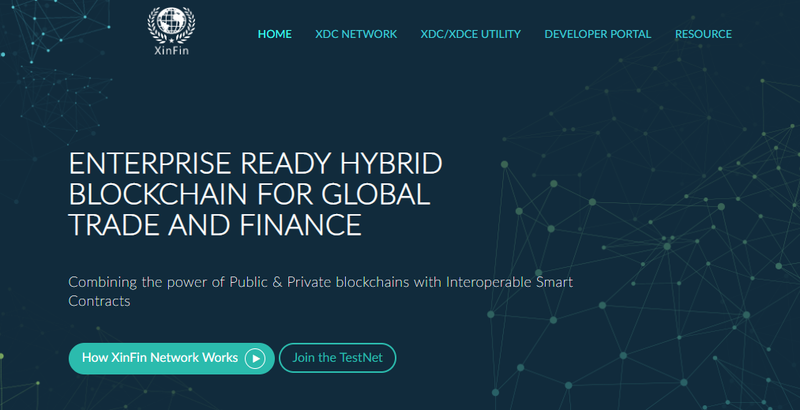 The objective of XinFin Network is to become a leading part of this phenomenon through seamlessly merging an ecosystem of applications with cryptographic tokens used by millions of mainstream users with a unique blockchain infrastructure architecture, allowing for fast, frictionless payment and a secure, decentralised, and trusted store of value. XinFin Network aims to be a public EVM-compatible blockchain with the following advantages: low transaction fee, fast confirmation time, double validation and randomization for security guarantees. XinFin Network envisions an ecosystem of different DApps running on the XinFin Network blockchain infrastructure. Efficiency: The small throughput of Bitcoin and Ethereum severely hinders a widespread adoption of such crypto- currencies. Confirmation times: Bitcoin takes on average 1 hour to confirm a transaction because the confirmation of a Bitcoin block requires 5 subsequent blocks created following it. While Ethereum uses a smaller block-time, the average confirmation time still remains relatively high, around 13 minutes. These long confirmation times hinder many important applications (especially smart contract applications). Fork Generation: The problem of fork chain consumes computational energy, time, and creates potential vulnerabilities for different types of attacks.